In the midst of a brutal flu season, we’ve still managed to stay relatively healthy. However, reading the CDC reports about our country’s epidemic incidences of influenza is making me nervous, and I question whether I made the right decision to abstain from vaccinating my children. Despite it’s relative safety profile, there are risks and reports of varying degrees of effectiveness. So while I’m comfortable receiving the vaccine in an effort to keep both myself and my children influenza-free, I’m still opting for natural remedies to keep them healthy and comfortable this winter season. With two small children, I make it a point to keep up to date with the latest recalls, particular as it pertains to medications. I actually remember a time when my son was able to take medications that have since been recalled. I was at my local pharmacy last week in search of something to help ease my daughter’s cough…nothing. Unfortunately, she is still too young to take anything that can be purchased over the counter apart from pain relievers. Even if I wasn’t as passionate as I am about natural remedies, those are the only choices I have at this time to keep my daughter comfortable when she is sick. So how do we stay healthy during the cold and flu season? Here are my best tips for preventing and easing cold and flu symptoms. 1. Wash, wash, wash your hands! The viruses that cause the common cold and influenza are easily spread and can live on surfaces. Before you eat or touch your face, be sure to wash your hands as a first line of defense against germs. 2. Get your beauty rest! Your body needs regular, sufficient sleep to restore itself. 3. Get physical! Exercise does a body good…in more ways than one. Not only will your heart benefit from the activity, so will your immune system. 4. Go pro! Probiotics are a staple in our home. Available in pill, powder, and juice forms, these healthy bacteria help support digestive and immune function. 5. Eat your greens! A diet rich in leafy greens and antioxidant-rich foods can help give your immune system an nutritional boost. Our favorites include broccoli, blueberries, salmon, spinach, walnuts, and yogurt. 1. Rest! Too often we push our bodies to their limits. Illness is one way our body tells us it’s time to slow down. Rest allows your body time to focus on what it needs to do most…fight off the illness! 2. Hydrate! Even if you have lost your appetite, drinking sufficient fluids will prevent dehydration. Aim for 8-12 glasses per day. 3. Get steamy! Steam helps open up nasal passages while keeping them moisturized. 4. Be wise with supplements! Simply Google “natural cold and flu remedies” and thousands of articles will tell you to take everything from hot peppers to oil of oregano! My best tip would be to do your research and then consult with your physician before taking a supplement you are not familiar with. Awhile back I was introduced to Zarbee’s, the first all-natural cough syrup that combines dark honeys, Vitamin C, and zinc for effective cough relief. 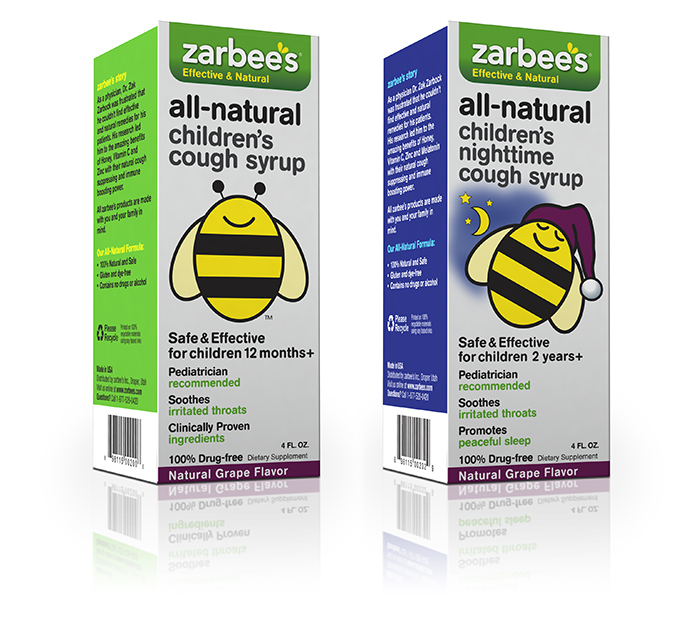 Developed by a pediatrician, Zarbee’s Cough Syrup is free from medications/drugs and alcohol and clinically proven to calming coughs and sore throats in adults and children. Over the winter season, we’ve used both the daytime and nighttime syrup for my daughter and it worked well to soothe her cough. The nighttime syrup contains melatonin to help children sleep, but I didn’t find that it made her overly groggy or sleepy. The one thing I did notice is that it does take some time to work. The children’s syrup tastes better than the adult syrup, but I didn’t find it to be unpleasant. Zarbee’s is now available at Walmart for adults and children 12 months and older and retails for just $7.99. For more information about Zarbee’s, visit their Facebook page which includes a video from the Doctors show. I participate in the Walmart Moms program and am compensated for my time and honest opinions. The thoughts and opinions expressed above remain solely that of the author and are not intended to take the place of a physician’s advice. If you have any concerns, always contact your physician/health care provider.